Dating back more than 2,500 years, Thai healing is rich in the traditions of the East. The history of this folk science is vague, but the legendary founder of the art is believed to have been a doctor from northern India named Jivaka Kumar Bhaccha. Jivaka’s work consisted of manipulative techniques as well as instruction in proper diet, herbology and mystical practices. Prince Abhaya was transfused with compassion for the newborn babe that still clung to life despite its ugly surroundings. He decided to adopt the baby as his own. The baby was named Jivaka Komara Bhacca – Jivaka, meaning ‘life’, because of his will to live, and Komara Bhacca, which meant ‘adopted by a prince’. Jivaka led a privileged life in the palace. His friends, however, often teased him as he had no mother. Jivaka, who was embarrassed by the teasing, questioned his father about his origin. When he heard about his origins and his will to live he decided that he would one day grow up to be a preserver of life. Determined to earn the respect he felt he lacked due to his birth, Jivaka decided to go to the University of Taxila to become a physician. Jivaka approached Disapamok, a well-known scholar, for his training. In Jivaka’s past births, he had aspired to be the physician of the Buddha. With this knowledge, Sakka, King of the Heavens, entered the body of Disapamok, and bequeathed the young Jivaka with celestial knowledge in the art of medicine. Jivaka quickly learned medicines and cures of which Disapamok himself had no knowledge. Jivaka completed in seven years the physicians training which usually took eleven years.Realizing that Jivaka’s education was complete, Disapamok asked him to go forth and bring back a plant, herb or root that could not be used for medicinal purposes for the preservation of life. After travelling far and wide Jivaka returned to his teacher to inform him that no such plant, herb, or root existed. All of nature’s treasures were beneficial for the preservation of life. The joyous teacher then praised his pupil by informing him that his education was complete. 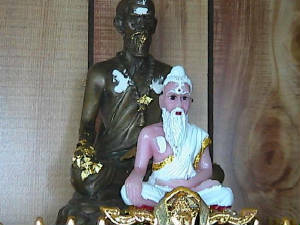 Jivaka had surpassed his teacher in knowledge. Jivaka’s reputation as a great physician grew quickly. He was the physician of kings, noblemen and the Buddha. The text mentions that he operated and successfully removed two tumours from the brain of a rich merchant who was a good friend of King Bimbisara. He also operated successfully to remove a blockage in the intestines of a nobleman. In one instance when the Buddha was afflicted with stomach problems, Jivaka prepared the medicine, and applying it on a blue lotus flower, offered it to the Buddha. Jivaka then asked the Buddha to inhale the essence emanating from the flower. 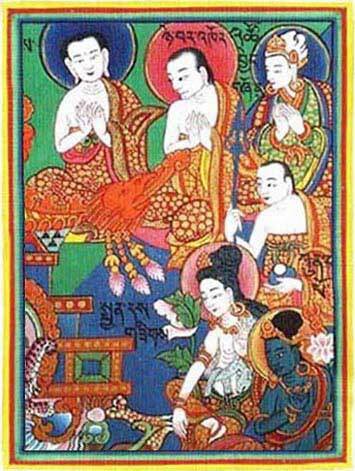 The medicine which Jivaka had prepared with devotion and presented so beautifully, cured the Buddha’s stomach ailment. Jivaka had in one instance risked his life to attend a very cruel and vicious king named Chanda Pradyotha. One of the King Pradyotha’s subjects had offered him a shawl that had been dropped by a Deva in the forest. Admiring the very beautiful shawl, the king had reflected that he should gift it to Jivaka who had risked his life to save him. Jivaka, however, felt that there was only one person worthy of such a shawl. He in turn offered it to the Buddha. The Buddha accepted the celestial shawl and, as requested by Jivaka, dispensed a sermon on the giving of robes. 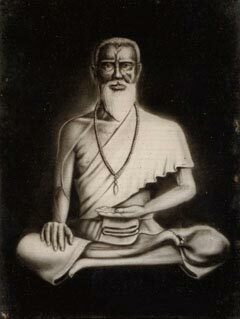 After listening to the discourse, Jivaka attained the first stage of enlightenment, Sotapanna. The Buddha felt that keeping such a valuable shawl in the monastery would attract thieves, which would endanger His monks. Addressing ananda, he requested that the shawl be cut into strips and resewn so that it would be of little value to thieves. This custom of wearing patched garments still remains among the Sangha. Even their new robes are made of strips of material that are sewn together so that even the robe they wear would help them in the practice of non-attachment. 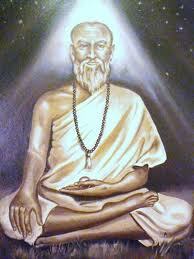 Jivaka built a monastery in his mango grove so that he could be close to the Buddha when attending to His needs. It was Jivaka who attended to the Buddha’sfoot when it was cut by the sliver of rock that Devadatta rolled down the hill at Gijjhakuta. It was also Jivaka who treated the Buddha in His last days, when He was overcome by stomach pains. It was also at Jivaka’s request that the Buddha established that monks should sweep the compound of the monastery and attend to other duties that would exercise their bodies. Jivaka, seeing the benefit of exercise for a healthy life, requested this and other mild duties to be performed by the monks to ensure their health. With foresight, love and compassion the devoted Jivaka took care of the physical health of the Buddha and His Sangha. In terms of Thai massage, the movement of Buddhism to Thailand was as important as the Jivaka’s medical system. 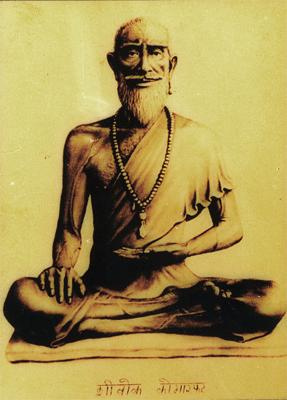 He is reputed to have visited Thailand with a party of Buddhist monks. It is interesting to note here that the Thai word for massage is nuad boran which literally means ‘ancient massage’. Whether or not Thailand had an indigenous form of massage before Buddhism arrived is not known. 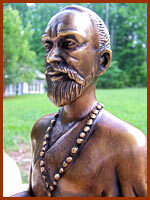 Jivaka’s medical system was based on India’s ayurvedic and yogic traditions. Thai massage’s Indian influence is still obvious today from the large number of yoga like postures used, its many Sanskrit and Pali words, its spiritual foundation as well as from Thai massage therapists’ veneration for Jivaka. 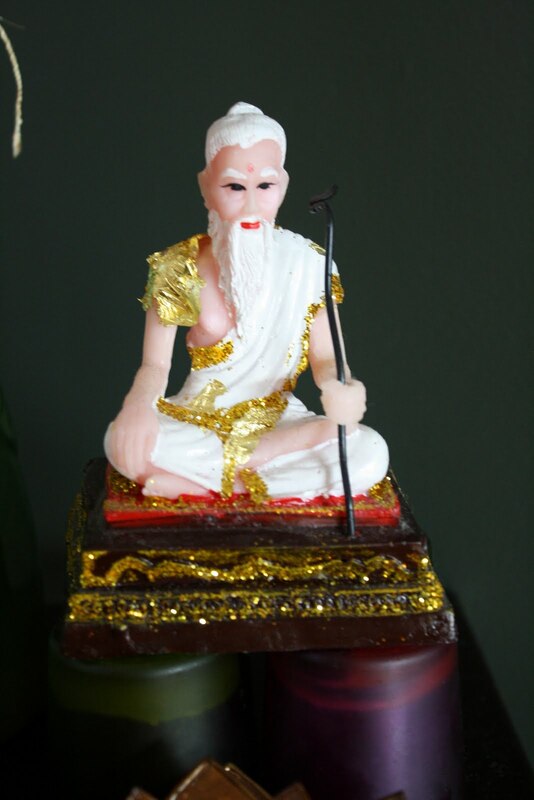 In fact a prayer which invokes the blessings of Jivaga is still often recited before giving a Thai massage. Thai massage theory was passed down orally from teacher to student until it was written down on palm leaves in the Pali language using the Khmer script. These texts were venerated and given the same importance as Buddhist religious writings. Unfortunately the Burmese destroyed most of these texts in 1776 when they took over Ayutthya, Thailand’s first capital. Here Jivaka kneels in prostration (wai-kru) at the top right hand side. This is an image from a Tibetan thankha. This entry was posted in history, teachers and tagged uncategorised. Bookmark the permalink.